I was excited to come across this peaceful meditation movement online (www.medmob.org) recently. 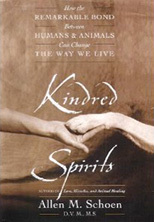 It is such a joy to see the vision that I have had for animal lovers through the kindred spirits project develop separately for various groups throughout the world. It is a magnificent demonstration of the information field and the interconnectedness of consciousness. Medmob which is essentially a website organized to create mass meditation for world peace simultaneously throughout the world. This is based on the global coherence theory that we have discussed in previous posts. I imagine they are based on the flashmob theory. They state that “Our intention is to create an environment for people from all walks of life to come together in meditation. By exposing people to meditation through public display of meditation and sending positive intentions out into the world we can lead be the example.” Simple acts can change the world. As Gandhi has stated “be the change you wish to be” . Part of the vision of the kindred spirits project is create meditative environments and meditative moments wherever animals and humans congregate together. This can be at animal shelters, animal hospitals, wildlife sanctuaries, horse barns, horse shows, organic farms, etc. 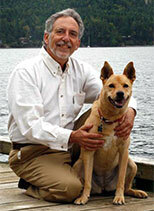 I believe that regularly scheduled times of meditation among animal lovers and their animals can transform the human animal bond and through that, the world. Perhaps this may be the first invitation to all animal lovers to begin connecting with their animal companions through meditation simultaneously throughout the world. Go to www.medmob.org and see if there is a medmob meditation in your area. If not, perhaps you may be interested in organizing one where you are or perhaps in an animal related location in your area. Perhaps your friends at an animal hospital, shelter, horse barn etc. may be interested in organizing one with you. 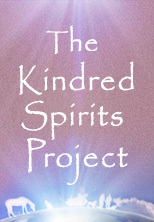 Perhaps if there is not sufficient time for this one, we can create one through the kindred spirits project. Let me know what you think and feel and let us begin this momentous movement for world peace through the love of animals now!